I’ve been blessed with the support of Alex Kundakcioglu of Vandoren Canada….we played together years ago before he moved back to Toronto and we are the poorer here in Vancouver for the loss of his magnificent trumpet! He has been sending me new Vandoren equipment releases for a few years and the latest is the Black Diamond BD5 Eb Clarinet mouthpiece. Wow! 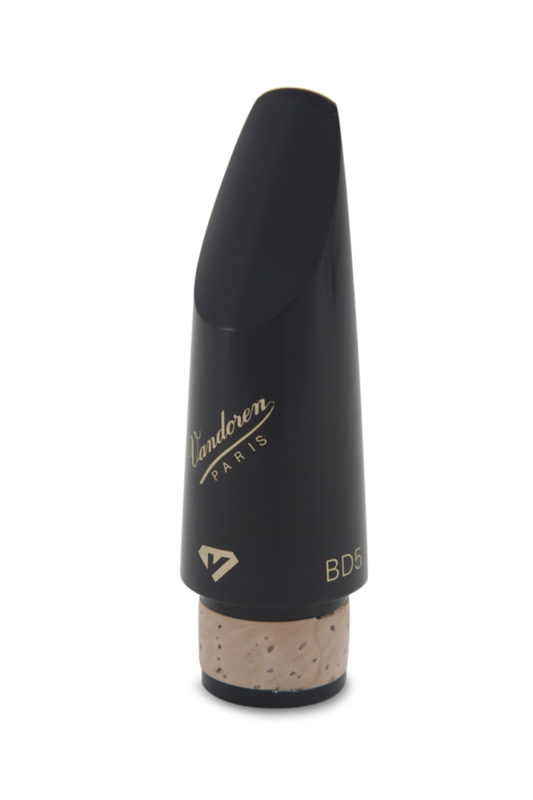 The Vandoren Black Diamond BD5 Eb mouthpiece is free-blowing, round, warm, ringing and centred like it’s Bb big brother. Perfect for students and professionals, especially those like me who only pick up the Eefer occasionally. The BD5 takes all the potential squawkiness away from the little clarinets so I’m getting a second one for my D clarinet. For me, the few times I play C, D, or Eb clarinets are in Mahler symphonies where I am frequently playing A, Bb and Bass as well. So it is great to be able to pick it up with no fear, get great response and a pure sound without having to do a month of long tones first. I well remember a friend in high school who bought an Eb clarinet but was not allowed to play it because of his tone…if only he could have had a Black Diamond mouthpiece!